I’m tardy on my weekly update post because I’ve been crunching numbers and cross-referencing several charts to try to understand how many shopping points I have left for the month of December. 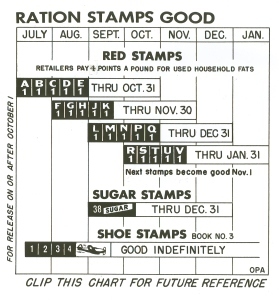 In December 1943, every person (including children) was allowed 48 points per month of red stamps and blue stamps. Red stamps allowed meat. Blue stamps allowed canned and processed foods. Fresh fruits, vegetables, bread, flours, and milk did not cost points. They were viewed as necessary and if you could get your hands on them, as much as you could eat — by all means, eat. For my experiment, at this point, I am aware of seasonal selections and trying to avoid fresh fruits and vegetables not from the U.S., but not ready to conquer the regional seasonal rules just yet. Okay, back to my math homework. If I were not limited by which letter of the alphabet stamp I could use and just calculating what I have purchased in the last two weeks, I have 12 Red (meat) Points and 52 Blue (canned/processed) Points remaining. A quick view of my refrigerator and freezer makes me think my husband and I will be well-fed through the rest of the month. I’m not too worried about the menu. But, I do admit that watching the sugar bowl shrink does cause anxiety. Hoarding is not allowed in the government rules; those who did not use up the previous week’s sugar ration were not supposed to get in line for the present week’s ration. I have become very aware of every tablespoon of sugar going into the recipes I’m making and there is a growing feeling of scarcity all the time. 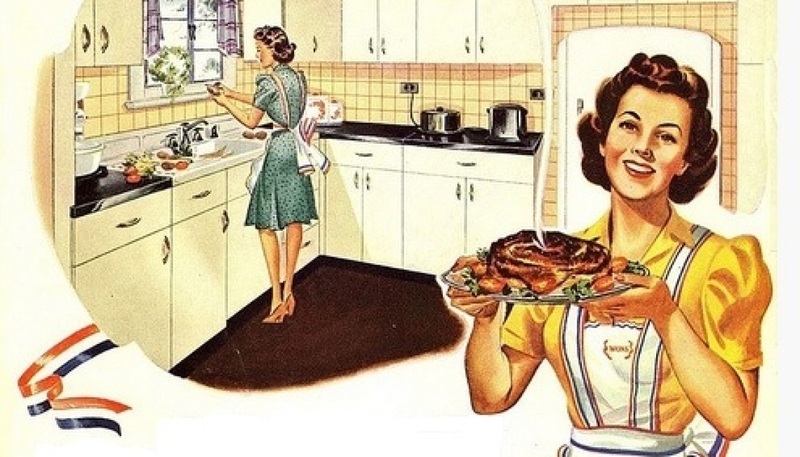 I have a theory that the feeling stayed with my grandparents’ generation for their lifetime when it came to anything that could – or should – be salvaged and saved.